As an agent, I’m often involved in a lot of events aimed at helping writers hone their craft. I thought it would be useful to mention some of the organisations I’ve been involved with recently. 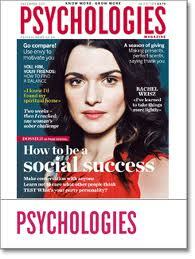 Last month, I spoke at a two-day event co-hosted by Psychologies Magazine and Writers & Artists in their Bloomsbury offices. This consisted of workshops, Q&A sessions and one-to-one appointments. Writers & Artists regularly host events like this, offering a great introduction to the book trade. They also have a wealth of information online which is regularly updated. More recently, I had the pleasure of meeting the Creative Writing Diploma Students at Oxford University, giving a presentation about how to pitch a book and find an agent. I love talking to aspiring authors and finding new talent, and I think it’s so important for them to have a real insight into the industry before submitting their work – writers need to have a strong impression of the agent they want to work with as it’s such a crucial and long-term relationship. Creative writing courses also have the advantage of group discussions which is important for the editorial process as books are so subjective. The Guardian also runs specialist classes. Along with bestselling author, Rowan Coleman, I last spoke at a Guardian Masterclass focussing on the synopsis and the pitch. There’s a clear distinction between the two but so many submissions I receive mix them up. The synopsis ‘tells’ the story whilst the pitch ‘sells’ the story. I love talking about pitches and how important it is to get to the core of a story in order to get people interested. Word of mouth is the biggest publicity tool for books so a good pitch goes a long way. My next event is in Winchester on the 14th May where I’ll be giving a talk described as “Why do I need a Literary Agent in the Digital Age?” I think it’s important to address the benefits of having an agent in this time of technological change as there are many more platforms to launch a book and more opportunities for rights to be sold to other media. 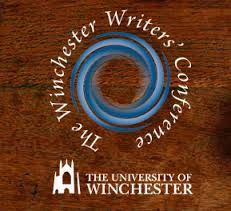 I’ll also be leading a number of workshops and panel events over the summer, with these topics in mind, at festivals such as the Winchester Writers’ Conference and the Festival of Writing at York University. There are some popular London-based writing organisations that I’ve talked at, for instance the London Writers Café, a lively community that supports new writers that I spoke at earlier this year. They have more than 2,000 members now and, as well as critique evenings, they also host publishing talks, workshops and social events. I like them because they don’t charge a membership fee – you only pay for the events you attend. At Smart Quill, Philippa does all the reading and reporting herself and offers editorial, publishing and digital guidance to writers. The more organisations I get involved with, the more I can see that there is plenty of help out there for writers. It’s just a question of exploring them. 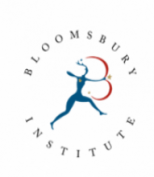 I attended the first in a new series of literary events at the Bloomsbury Institute last night, focused on how to plot the perfect murder mystery. Speakers included James Runcie, Anne Zouroudi and Claire McGowan. Interestingly, the talk evolved into a popular debate about Plot vs. Character. I am constantly telling new writers that a clever plot is not enough. Character is so important. We need to relate to and empathise with your characters in order to invest our time in your stories. The impact of the crime on the characters is as strong as the plot. If you look at the popularity of the Danish TV series, THE KILLING, it’s because we were so invested in the characters’ lives that we wanted to spend hours and hours in front of it. THE KILLING, SERIES 2 didn’t do as well because it was more plot-led rather than character-led. Character is so important. I want to see rich, believable and likeable characters. I want to get to know them. I want to read your books because of your characters as they connect me to the plot. Just as I was thinking it would be a good idea to offer one-on-one consultations to new authors, I was contacted by Writers’ & Artists’ to host their new enterprise, Beat the Rejection Clinics. Rather than offering an editorial focus, I sit down with each writer and discuss the commmercial side of publishing. Discussing how saleable their book is, should they persevere with it, the perfect pitch, who they should approach etc. Essentially, it’s an opportunity for a writer to talk candidly with an agent.